Namco Bandai has filed suit against Optimus SA, the parent company of CD Projekt Red, for breaching its contract agreement over the publishing rights to The Witcher 2: Assassins of Kings. Having served as the European publisher of the PC version, Namco believes it should distribute the upcoming Xbox 360 copy. 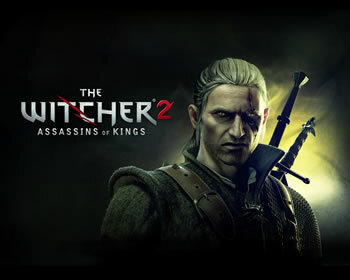 Much to the company's dismay, THQ recently announced that it secured the EU publishing rights to The Witcher 2 for the Xbox 360. That's further complicated by the fact that Atari will distribute the Xbox 360 version in the US, as Namco Bandai acquired Atari Europe a few years back. As a side issue, Namco also claims that CD Projekt Red violated its contract by removing the DRM from PC copy of The Witcher 2 without Namco's approval. CD Projekt Red eliminated the DRM in a patch earlier this year after it was determined to reduce in-game performance by up to 30%. While the suit is pending, Namco is withholding a payment of €1.255 million (roughly $1.8 million). Unfortunately for the disgruntled publisher, CD Projekt has dismissed the claims, asserting that it hasn't done anything wrong. Based on Google Translate, the developer says it won't be bullied over a couple million bucks and by delaying the payment, Namco is only setting itself up to dish out the interest later. CD Projekt hopes to settle out of court but says it will win if the case goes before a judge, and then Namco will have to eat the attorney's fees too.